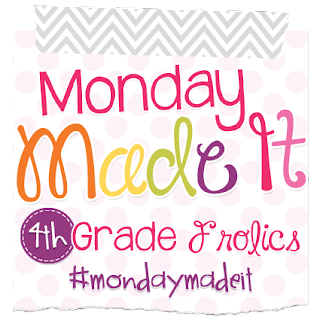 I'm linking up today with Tara for Monday Made It, the most motivating linky of all! I've been working hard to set up systems for the tasks I complete weekly so I can stop getting distracted by Bravo focus my energy. If you haven't heard of Melyssa Griffin, she has great advice for streamlining your tasks and just entrepreneurship in general. I highly recommend her site! This is my weekly setup before filling in any details. I liked how this layout worked last week, so I decided to stick with it. The "eat the rainbow" chart might seem silly, but it did help me remember to seek out different colored fruits and veggies all week! Since a new month will be starting this week, I started doing some of my July pages. 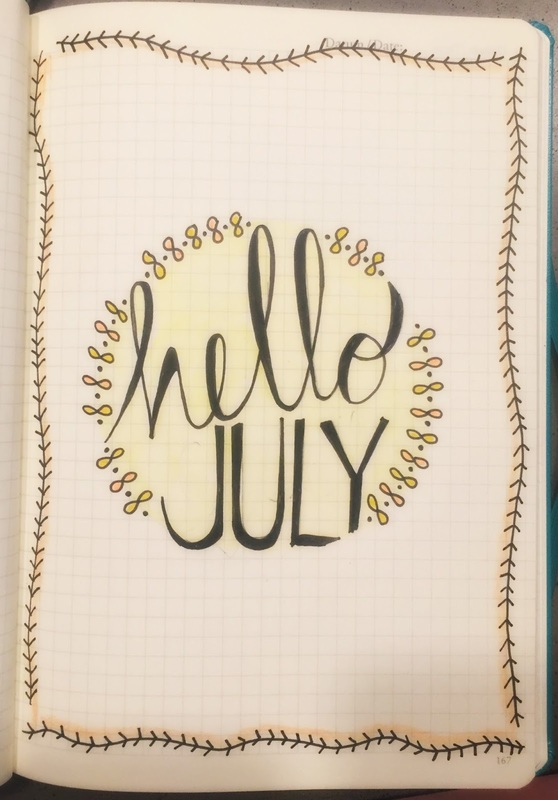 This is just a fun doodle I came up with to show that my July pages were starting. If you follow all the bullet journal rules, you're supposed to mark the pages in a Table of Contents, but...I'm not all that good at remembering to do that. I've found I can pretty easily find what I'm looking for without using the ToC. Here is my July monthly view. I use this to keep track of my monthly goals, any appointments I have or errands that are date-specific, and my blogging schedule. 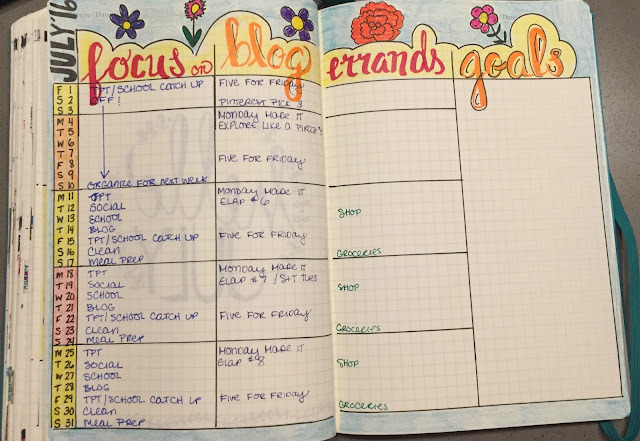 If it's during the school year, the left column is for work-related activities, but over the summer I write what I want to focus on that day (gotta use those systems)! Usually for each month I have habit trackers or challenges I participate in, but I'm taking the month off from those because of vacations and such. I do plan on keeping up with my gratitude tracker, where I write down two or three things that made me happy each day. These bags will ONLY be for my 4th graders and they will ONLY come out at writing time. Inside will be "special" writing pencils (that...ooooh...only work during writing! ), a special editing pen, a red and green marker and a yellow highlighter (we use these to differentiate among hook/transition, body, and conclusion) and fun erasers. I'm still waiting on a few goodies from NAEIR and will probably add a revising/editing bookmark, but I think this will bring a little fun to the writing block! Kids will go crazy over anything you tell them is "special" or "just for you" and I'm hoping their excitement over the supplies will carry into their writing! Thankfully I was able to grab all this stuff at Target (#dollarstorejunkie) or in a NAEIR order so I didn't have to break the bank to put them together. I'll be sure to come back and update you on how the bags are working once my writing block is up and running! This is more of an in-the-process-of-making-it-right-now, but I am focusing on updating and adding more choice boards to my store. 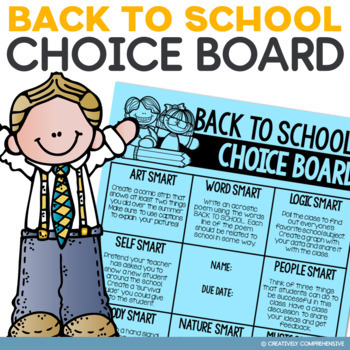 Each choice board will now include activity guidelines and a rubric to give you more bang for your buck! If you've downloaded this before, make sure you re-download it when I complete the update! Be on the lookout for them when I finish Orange is the New Black, sometime this week, TODAY! They will be on sale for the first three days after I add them. Time to get back to work! 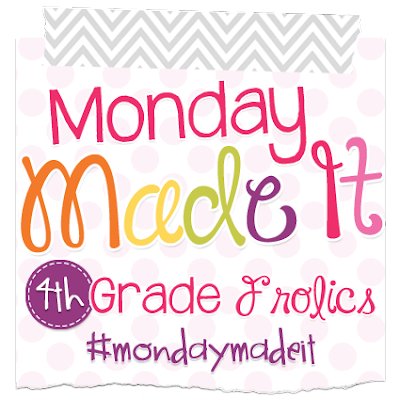 Don't forget to stop by 4th Grade Frolics to see what everyone else is making! 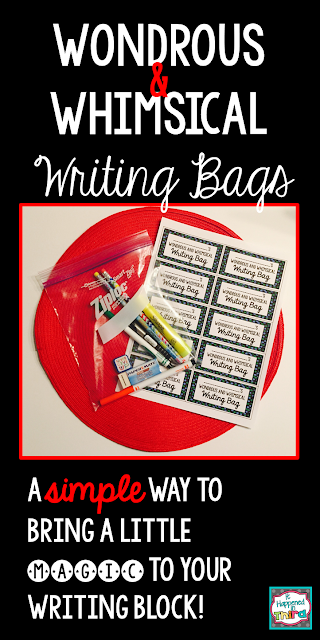 I love your writing bags idea, can't wait to hear more about it in the Fall! Thank you! Anything to motivate them to write more! I had a 3/4 looped class and it was one of my favorites! I enjoyed your blog post! Pam Visit my blog at PJ Jots! 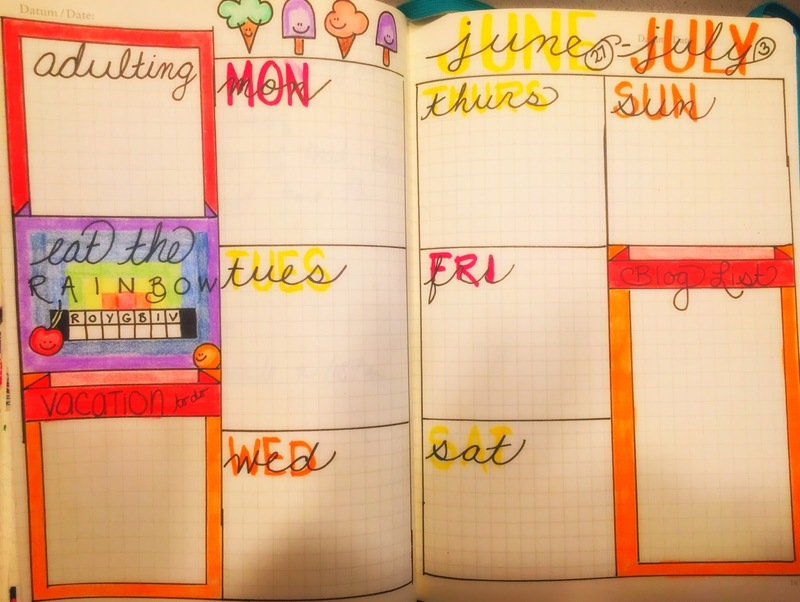 You seem so organized with your bullet journal! Wish I was that organized.. I try! Sometimes I look more organized than I am, lol. Your bullet journal still makes me envious. I just want to be able to write like you do! So jealous! Aww,thank you! I love how at the beginning of the year, the kids are like, "I have to write a whole PARAGRAPH?!?!" and you think in your head, "just wait, buddy." I started a bullet journal/planner this summer and am loving it as well! Yours looks so cute!! Thank you! I really look forward to writing in mine every day. You are so productive in the summer! I'm trying! I have a lot to accomplish still. What great ideas! I especially like your wondrous and whimsical writing bags. Great idea! I can't wait to hear about hous you use them. I had never heard of NAEIR before, so thanks for sharing--I applied immediately!! Thank you! Make sure you read the emails they send once you're a member...a lot of stuff goes quickly!